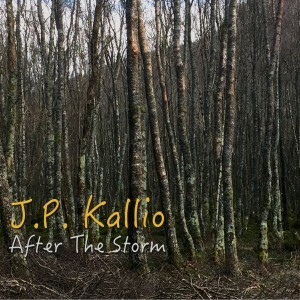 Chapter 5 "After the Storm"
At the end of 2014, when I was certain I was going to be able to finish my 52 song challenge, I started to think how much I had enjoyed the experience, and how great the response from people had been. At that stage it felt somehow just natural to continue releasing song a week in 2015 as well. Instead it being a chore, it had become a part of my life, and instead the songs getting stagnant, they actually started to get better. Funny thing really, to realise that if you do something a lot, you might actually get better at it… Who knew? So this album is the first 12 songs of 2015. They are songs I am very proud of, they are song I hope will speak to you and you can relate to them, maybe find a little bit of your self in there somewhere. Now as to the business side of things 😉 I decided to try something different this time. The fact is I want you to have the album. I did spend time, money and a lot of hard work to get the album done, so obviously I would expect to get return on it. But I do understand that for some people money is tight. So I set up a page with FanDistro, a website that let you share my music, and get a track in return. 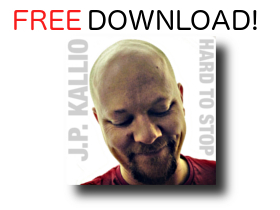 Or get your friends to share it and you will get the full album for free. Yep you heard me right, for free! Now if you still want to support me financially, you can still purchase the album from there as well, and actually help not only an independent artist, but a charity as well. From all the sales of my album on the FanDistro site 20% goes to Direct Relief. Direct Relief is a charity that I am a big fan of, as they run a very lean operation and a staggering 99% of the money donated actually ends up in the source. I am always hesitant with charities as many of them are managed badly, and often the running of the organisation can eat a large amount of peoples donations. Thank you guys for your continued support. You are amazing!